There are a large number of different styles, techniques and named methods of dog training. Operant conditioning, the Koehler method, clicker training, shaping and dominance based training to name just a few. With so many methods available it can be very confusing for the hobby trainer and pet owner to know which method to follow and which method best suits their personality and training goals. Luckily for us there are only actually a few relatively simple base concepts, used as building blocks to form all the different training methods. It’s just the application of the concepts that differ. So if you learn just the few basic concepts, you can then understand all the methods created from them. And with this knowledge you can choose a method that suits the way you wish to work and that’s best for you and your Golden. Operant conditioning is a type of training that takes advantage of the fact that dogs are reward seekers. If a behavior leads to a good consequence, they will do that behavior more. If a behavior leads to a bad consequence, they will do that behavior less. So in operant conditioning we control the training environment to provide either good or bad experiences to our dog depending on what they do. We can ‘punish’ bad behaviors to decrease them and ‘reinforce’ good behaviors to increase them. Operant conditioning has ‘4 quadrants’, 4 different techniques available to affect a dogs behavior. A reinforcement is something that will increase a behavior. Negative simply means we have taken something away to either reinforce or punish. Positive simply means we have added something to either reinforce or punish. 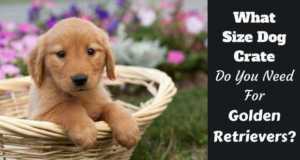 Positive reinforcement By adding something (positive) the dog sees as pleasant, a behavior is increased (reinforcement). 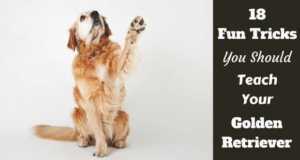 For example, praising and rewarding your Golden each time they drop a ball when asked. So they will be more likely to drop the ball again in future to get some praise and reward. Positive punishment By adding something (positive) the dog sees as unpleasant, a behavior is lessened (punishment). For example, spraying with a water bottle each time your dog digs in the garden. This will eventually decrease the behavior. Negative reinforcement By taking something away (negative) the dog sees as unpleasant a behavior is increased (reinforcement). For example, pressing down on your dogs rear until they sit and then releasing the pressure. 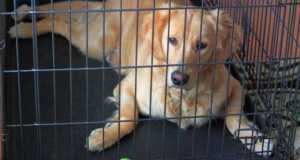 Negative punishment By taking something away (negative) the dog sees as pleasant, a behavior is lessened (punishment). For instance most dogs crave our attention. So if they are doing something we don’t like, we can turn and ignore them and the behavior that caused you to turn away will likely be decreased. Coming from one of the 4 quadrants of operant conditioning described above, positive reinforcement training describes a technique where only positive reinforcement is used and the other 3 quadrants ignored. There is no negative reinforcement and no punishment. Basically, behaviors we want to increase are rewarded while all other behaviors are ignored. Generally speaking this isn’t the most effective form of training if used alone because the dog will never be told they’ve done wrong. But if used as a major component of a balanced training technique that involves intervention and re-direction of unwanted behaviors then it is very powerful indeed. Remember from above that the use of the word negative means taking something away, and reinforcement means to increase a behavior. So negative reinforcement is the taking of something away in order to increase a behavior. The biggest use of negative reinforcement today is in the use of certain collars, harnesses and halters to stop a dog from pulling when out on a walk. For instance a choke or prong collar that tightens around the neck when pulled, or a ‘Halti’ that twists their head to the side if they pull. So if they pull, they constantly have an uncomfortable feeling on their necks, and if they stop pulling this feeling is taken away. So by not pulling, they remove an unpleasant sensation and this leads to increasing the behavior of not pulling on the leash. This is an example of negative reinforcement. NOTE: The use of many such collars (prong and choke) is heavily frowned upon nowadays and I am in no way promoting their use, this is merely an example. But negative reinforcement has it’s place in one form or another in other training methods. Ivan Pavlov and his experiment with dogs is a famous example of classical conditioning. In the experiment, Pavlov would ring a bell every time before he fed his dogs. When a dog knows it is about to get food, their bodies involuntarily react to this by salivating. This reaction is automatic and not something the dog chooses to do. What Pavlov found was that by ringing the bell before feeding his dogs every time, eventually after many repetitions, the dogs would start to salivate at the sound of the bell before any food was even brought into view. To the dogs subconscious mind, the sound of the bell meant the same thing, that food was coming, and their bodies had the same reaction. Initially, the sound of the bell was just a sound. It had no meaning. And the sight of food would make them salivate. After many repetitions of the bell sounding before food, the bell alone would make the dogs salivate. The bell had taken on a new meaning and caused a new automatic and physical reaction in the dogs. Classical conditioning occurs in everyday life with our dogs, for instance the excited jumping around when they see us reach for a leash, or when they hear the rattle of a dog bowl. The most common use of classical conditioning in modern dog training is ‘charging the clicker’ in clicker training. Clicker training starts with classical conditioning and then moves into being a positive reinforcement (from operant conditioning) reward based training technique where you ‘mark’ a good behavior that you like and then give praise and reward. A clicker is a little hand-held device that makes a clicking sound when you press it, so you can more precisely mark the exact behavior that you’re praising and rewarding. It’s a very useful device because getting the timing right when ‘marking’ a behavior we like can be difficult. 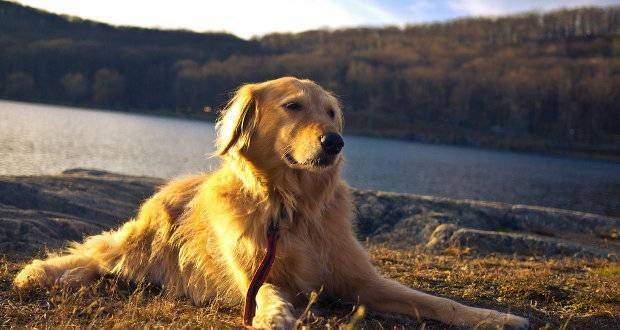 If you’re training a sit but your Golden sits, then gets up, then bounds over and then jumps up before you give a reward, how will they know which of those behaviors you liked? This is where a clicker is very useful. By clicking the instant your Golden Retrievers bum touches the floor, then giving a reward, they know it’s the sit that’s being rewarded. And the reward encourages the behavior because it is positive reinforcement. But before you can use a clicker like this, you have to ‘charge the clicker’ so that it means something to your dog. What Is Charging The Clicker? Charging the clicker is simply using classical conditioning so that in your dogs mind, the sound of the clicker evokes a feeling similar to getting a reward. To do this, you click, reward, click, reward, click, reward, repetitively again and again until eventually, like Pavlovs dog, the sound of the click causes the same feelings of pleasure that getting an actual reward does. Once the clicker is charged you can then use the clicker as a marker, clicking the exact moment a behavior you like is performed. This increases the accuracy of the communication between you and your dog which greatly speeds up the training process. There will be lots more appearing on clicker training on this site as it’s one of my favorite methods. Science based dog training isn’t one clearly defined technique…unless it’s all available techniques. I guess the best way to define it is to say it requires a very deep understanding of canine behavior, their natural needs and desires, their instincts and drives, what makes them tick and how they think, and especially how they learn. It’s then taking this understanding and developing the best available techniques to work with a dog, playing to the best of their abilities and truly understanding every action and reaction in order to plan a best method of training. Science based training is techniques developed by studying and experimenting with canine behavior and as new studies and understanding is gained by the scientific community, adapting the approaches. So it’s forever changing depending on the level of knowledge of the day, and forever trying to keep pace with how much we understand and can communicate with dogs. It aims to use the absolute minimum of negative and punishment techniques and strives to be as humane as possible, seeking the best results possible while causing the least amount of stress to a dog as possible. For instance, before trying to change an unwanted behavior, everything about the behavior first needs to be studied. What events lead up to the behavior? What is the dog thinking and feeling? What are the drives and urges behind the behavior? What problem or desire for the dog does the unwanted behavior solve? Only then will a method be determined to tackle the unwanted behavior, find an alternative behavior to train or a cause of the behavior to be addressed. When people refer to ‘traditional dog training’, what they mean is methods used before modern science based techniques were developed. Traditional dog training was very physical, very dominance based and involved a lot of physical punishment, aversives and physical force to get a dog to comply with a trainers wishes. Most of the traditional dog training methods came from wolf pack theory and the theory of dominance and being the ‘alpha’. Theories that have been completely debunked as false and incorrect in recent years. Also, the methods involved a lot of allowing a dog to make mistakes and then punishing those mistakes to decrease the chance of those behaviors happening again in future. These methods are now seen as highly unnecessary and even counter-productive for most dogs. They’re in-arguably more stressful for the dog and much kinder methods exist so there’s really no need to be physical and cause stress. 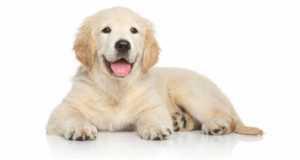 The particular training methods and techniques you choose to use with your Golden Retriever will impact not only the level of success you reach in training, but also the relationship between you. When training, you and your Golden are working together as a team. And when you set your golden up to win, when you praise and treat them often, and make training a fun and rewarding experience, they will look forward to working with you. This builds a relationship on love, trust and fun. So it’s in your best interests to use the modern, positive reinforcement, reward based training techniques. And stay away from the more traditional, physical and out of date techniques. Praise lots the behaviors you want, calmly but firmly correct, divert and offer alternative behaviors for the ones you don’t. Always remain calm when training your dog and try to never get angry. They don’t understand and will just see you as erratic and maybe begin to distrust you. The training articles on this site will focus on positive and fun techniques, working with your dog as a team and I will never advise techniques that cause necessary stress and certainly never to dominate or physically control your dog. 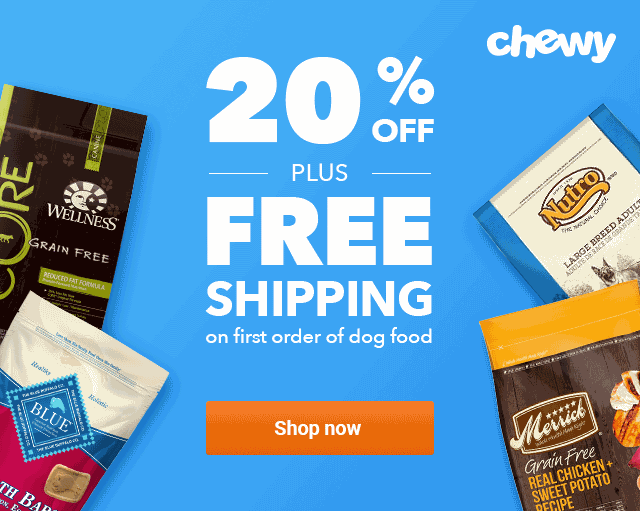 Previous: What Is The Right Age To Start Training A Golden Retriever Puppy?